The French colonial authorities cleared an old market in the square to make way for the Opera House which was in construction from 1904 to 1912. The French architect deliberately copied the designs and materials of the Palais Garnier in Paris. Under French rule the Opera House had primarily been for the colonial population. 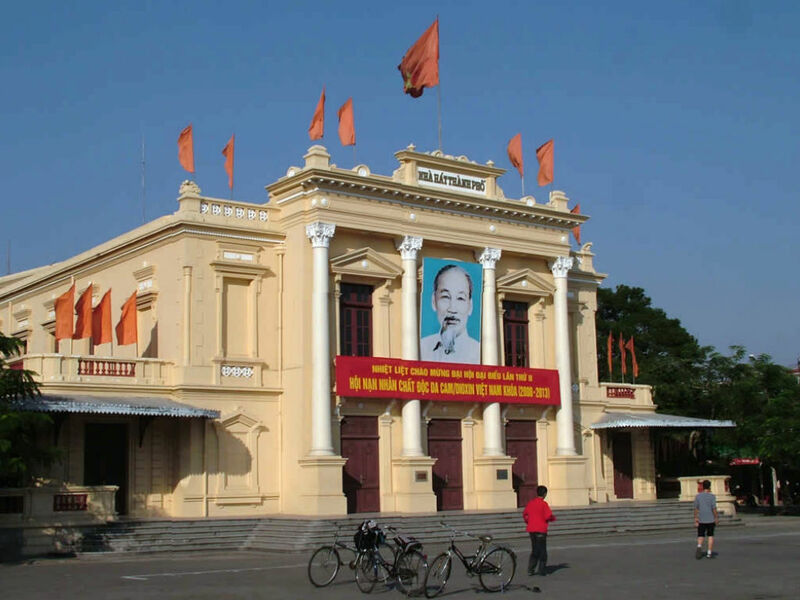 With the departure of the French population the Opera House turned more to local genres including classical Sino-Vietnamese hát tuồng opera, classical Vietnamese hát chèo drama, and the popular cải lương folk musical, as well as Socialist theatre and musical. The Opera House also holds concerts of Vietnamese music, classical ca tru, and neo-traditional Vietnamese-Western ( “revised national music”), folk genres such as hat chau van (“hat van”) and quan ho, and popular songs. From Trang Thanh Luxury Apartment to Hai Phong Operah house: 1km by walk or car Opening time: daily opening time. Advisable go in the day time in order to go inside the Opera House. Copyright © 2016 Princess Hotel. All rights reserved. Designed by Vinaweb.